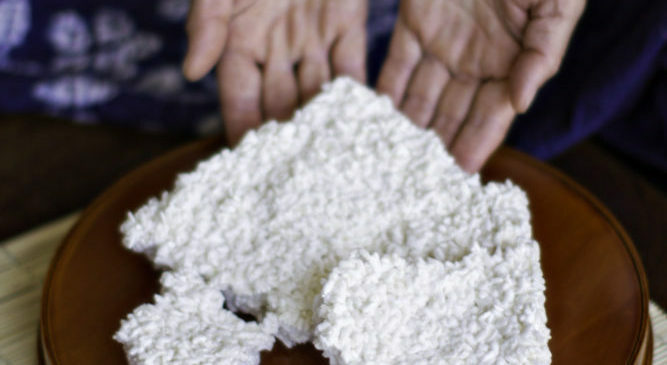 We will have a Koji workshop and tasting at Healdsburg SHED on Oct 16th ! Please join us. Join Mariko Grady, founder and entrepreneur of Aedan Fermented, at SHED to explore traditional Japanese fermentation techniques and make your own miso, shio koji and sagohachi. From her San Francisco kitchen, Japanese-born Mariko makes and sells live-cultured fermented products that are an important part of Japan’s tradition of fermentation foods. In this workshop, Mariko will speak about the close connection to nature in Japanese culture and how this influenced the development of fermented foods. She will also teach about the health benefits of koji and miso and how to integrate them into delicious recipes. Participants will make their own batch of miso and pickled vegetables to take home and will receive 10% off retail purchases at SHED the day of the event, perfect for stocking up on Japanese cookware and pantry items. The workshop includes a simple Japanese home cooked lunch of miso soup, shio koji chicken and miso rice balls. Thanks Bi-Rite Market Divisadero , Gus's Market, Almanac Beer Co! San Francisco Street Food Festival will start 11am ! Come to join us, I will do the short performance from 12:30pm on stage! Yesterday we had a private pop up lunch at MARLA Bakery Restaurant. Thank you Joe and Amy for sharing your beautiful Restsurant! 9/22/2016, Tasting event at La Cocina!